Expressing gratitude is something I’ve struggled with for awhile. I am still learning. Saying thank you is easy for me in obvious situations where a “thank you” is part of courtesy–when someone opens a door, or gives a gift, or treats me to a coffee or a meal. It’s different in situations where I feel deeply, or where I am engaged in what’s going on and not thinking because I am so immersed in it. Situations when I am collaborating, or when working with others toward the same goal, or when I am part of a family group. In these situations my need to feel competent and self-sufficient can get in the way of acknowledging and appreciating the help I’ve received and the contribution made by others. Needing help or having been given help, especially if it wasn’t asked for, has sometimes meant I felt shame, resentment, or defensiveness rather than gratitude. I also have had difficulty receiving appreciation. Here are some of the things that have been helpful as I’ve learned to express and receive gratitude. The first time I remember seeing someone who knew how to express appreciation and gratitude easily and naturally, I was entering mid-life. When someone can do this well it really stands out. Being able to receive thanks and appreciation gracefully; being present and not deflecting its as soon as someone starts is worth learning. Russell Precious, one of the folks who founded Capers Community Markets hired me while when there was only one market in West Vancouver. Watching Russell talk with staff and customers provided lessons in how to connect with people, engage them, acknowledge them, and appreciate their contribution. He noticed what was going on, expressed his pleasure and shared the significance of what he saw. He caught people doing something right. Whether it was letting a cashier know how wonderful she was for being present, accurate, and human with every person in the endless lines at the holidays, or savouring the newest dish from the restaurant kitchen, he conveyed his gratitude in a way that let the person know he saw them and what they did and what he found worthwhile and unique. This made it easier to receive his thanks and know they were genuine. Cynthia Baxter-Diggles was my Training Director at Wild Oats, a person loved for her ability to recognize the contributions of her team. Her knack for seeing the “superhero” ability of each person inspired outstanding performance and kept us engaged in innovation as we worked to introduce new ways of learning and training at each store. The training team became incredibly supportive of each other in very concrete ways even though we worked in different locations and only connected through conference calls and quarterly meetings. When I learned that providing appreciation was being assertive I stopped expecting it to be easy, and I knew practice would help me get better at it. I understood it wasn’t a case of not appreciating others, just feeling slow and a bit awkward when I offered thanks or appreciation. This made it feel inauthentic and I often felt embarrassed. a clarification of the concrete and tangible effect of the other person’s behavior on you. Changing the focus slightly provides a three-step process for expressing gratitude, appreciation, and praise. clarification of the concrete and tangible effect of the other person’s behavior on you or the situation. Boltan notes that the process of framing assertive messages leads you on a voyage of self-discovery. Learning to express gratitude and appreciation continues to help me grow. Making the effort to be concrete, specific and descriptive about what you are grateful for and expressing it in a way that includes your feelings and the impact is powerful, and–good news–the more you do it the easier it gets. Vulnerability — We need the willingness to dig a bit deeper (the feeling and impact part) . Presence — You have to be in the present moment to experience gratitude and be aware of it (the specific, concrete part). For me this means being aware of the sometimes mixed feelings I am experiencing, recognizing the old reactions of defensiveness or resentment, and setting them aside for later reflection so I can catch someone doing something right. 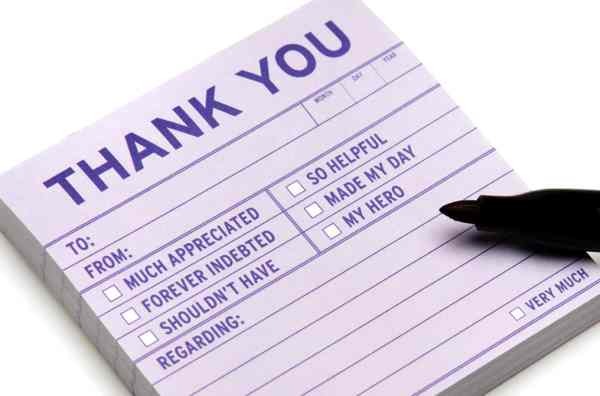 Join the conversation: When has your expression of appreciation or gratitude been difficult? When has it been satisfying? What’s it like for you to receive appreciation?